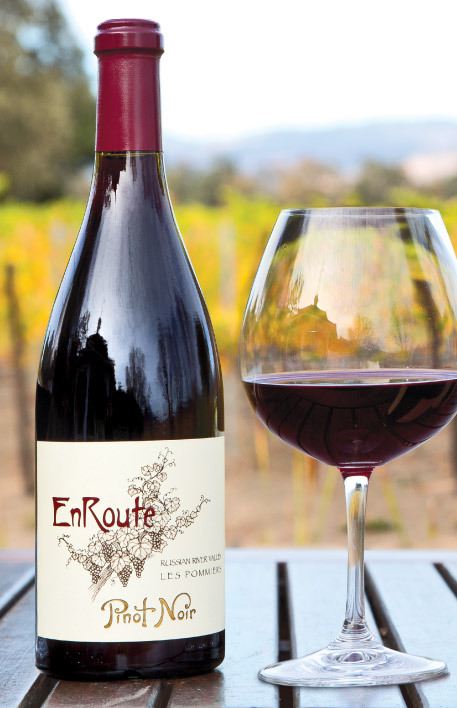 We discovered En Route pinot noir at Pinotfest 2015. And we were very impressed. On Norma’s recent birthday we took a chance on The Post, a new local restaurant (full review forthcoming, stay tuned). On the wine list was “Nickel & Nickel Russian River Valley “Les Pommiers” pinot noir.” That sounded familiar, so we took a chance. But, frankly, it’s hard to screw up grapes from the RRV AVA. When the wine arrived, Norma looked at it and noticed that the label said En Route, not Nickel & Nickel. I did a quick search of CaliforniaWineFan on my phone and found our old review. Sure enough, this is one of the sisters of that winery. We are, if anything, more impressed with the 2016 vintage ($60) and priced fairly at $75 at The Post. We can do no better than the sensory description from their website. Long-time readers will remember our admiration for Hahn Family Wines.